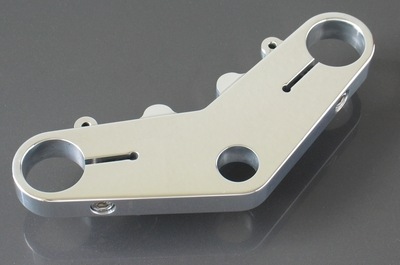 Billet CNC top yoke to fit the SR500, SR400, & 1977+ XS650. 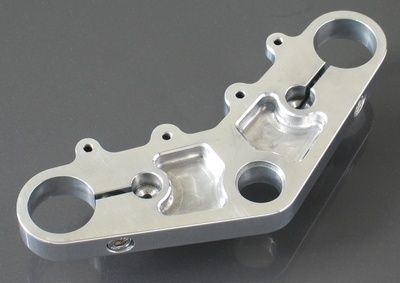 CNC machined billet top yoke to fit the SR500, SR400. & 1977+ XS650 with 35mm fork tubes. 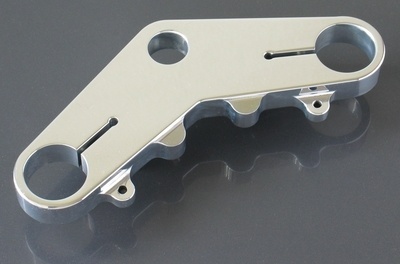 This premium quality billet alloy top yoke gives a proper classic look to your cafe racer when using clip-on handle bars. Includes mounting points for the ignition switch and gauges. The clamping screws are on the back side, giving a smooth appearance. See our version with side positioned clamping screws here. Note: As this is a flat yoke, on the XS650 you will need to raise the fork tubes in the yokes. Available in four finishes. 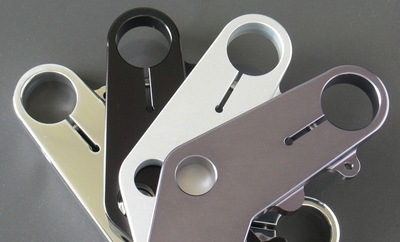 Polished raw aluminum, anodized black, silver, or titanium.